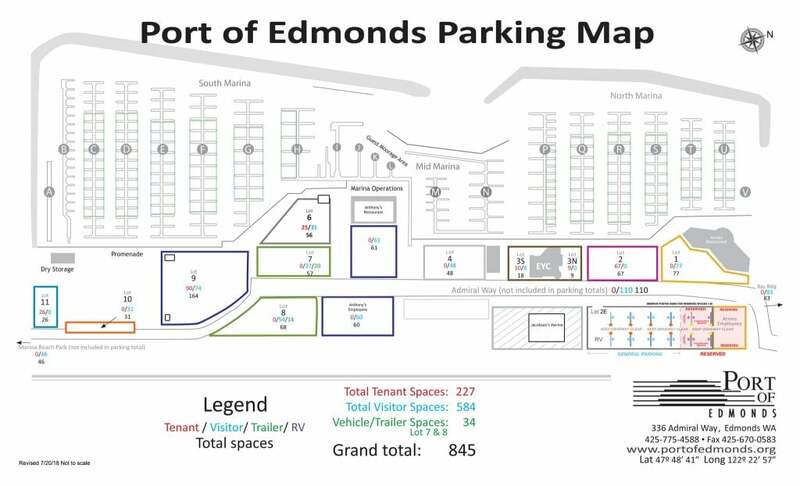 The Port of Edmonds provides parking, RV storage, and trailer storage for tenants and guests! Tenants may park in designated white or yellow spaces with a Port parking permit. Parking permits may be obtained by tenants in the Marina Operations office. Visitors may park in designated white spaces for up to three (3) hours. If staying longer than 3 hours, a temporary parking permit may be obtained from the Marina Operations office. Trailer parking is available on a monthly basis. Contact the Marina Operations office for availability. The Port offers outdoor RV storage with no long-term contract with power included. Please call 425-774-0549 or email billing@portofedmonds.org to sign up and for pricing information. 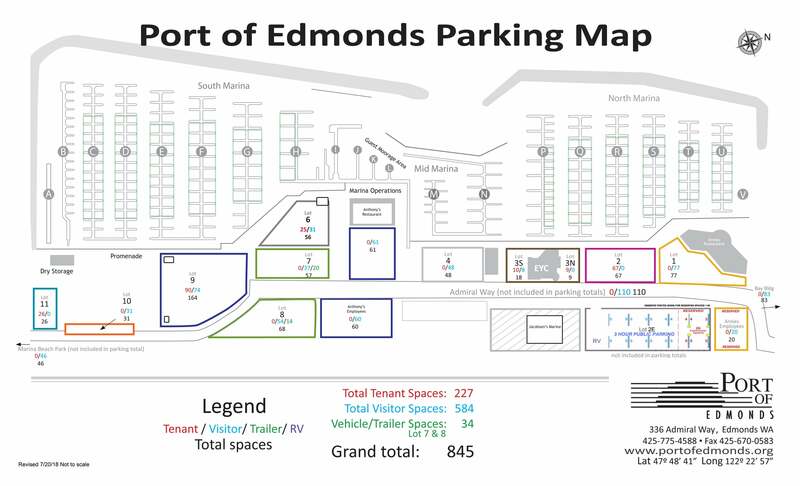 The Port of Edmonds is currently offering monthly commuter parking. If you are interested in reserving a space, for current price; please contact the Port at 425-774-0549 or email billing@portofedmonds.org.